While it’s cropping up on cocktail bars across the country and a quickly growing spirit category, pisco is still a mystery to most. Here, a helpful pisco primer. It might not be familiar in 2015, but if you were a prospector during the Gold Rush you'd know about pisco. Made popular in the 1800s by San Francisco’s Bank Exchange bar and their signature Pisco Punch, the Peruvian grape-based brandy was the “it” spirit on the West Coast until Prohibition. After that dark period, it was all but forgotten. But the real death sentence came when cheaper, easier-to-attain tequila came on the market. Now, pisco is finally making a comeback. While it’s cropping up on cocktail bars across the country and a quickly growing spirit category, pisco is still a mystery to most. Here, a helpful pisco primer from Schenk. Pisco is a Peruvian brandy distilled from wine made from eight possible grape varietals (more on that later). It’s distilled using a copper still (or alembic) and rested for at least three months in ceramic pots. It’s never aged in barrels. There’s more than one type of pisco. Just like wine, the type of grape used to make pisco differentiates each bottling. The grape varietals are divided up into two categories: aromatic and non-aromatic. The aromatic grapes (Italia, Muscatel, Torontel and Albilla) tend to produce floral piscos, while the non-aromatic grapes (Quebranta, Negra Corriente, Mollar and Uvina) make for nutty piscos with rich fruit flavors. “Just like with wine, you’re going to find that you love the nuances of certain varietals,” Schenk says. “The way you might prefer the spiciness of Carménère or the butteriness of Chardonnay—you’ll have the same type of experience with different piscos.” A pisco can be a mix of aromatics, a mix of non-aromatics, a mix of both aromatics and non-aromatics (acholado) or a single varietal (puro). 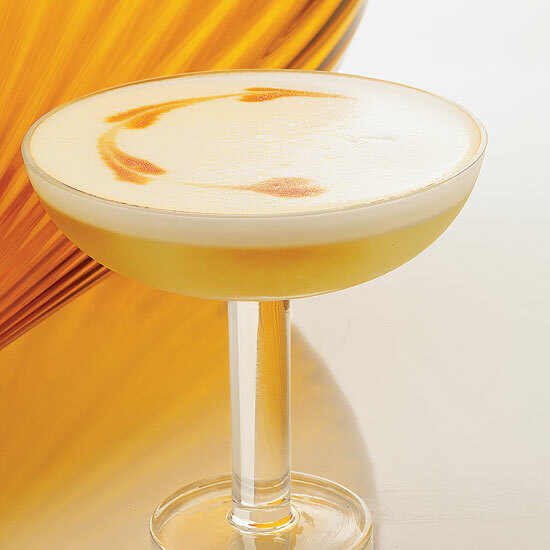 In Peru, the drink of choice is, of course, the Pisco Sour. Lately, bars in Peru have taken to infusing non-aromatic piscos with things like dried apricot, passion fruit and even coca leaves to use in Pisco Sour variations. Served straight as small shots, room-temperature pisco is also a classic pre- or post-meal sipper. Schenk recommends five labels to pisco newbies. BarSol: Though BarSol has only been in operation since 2002, the distillery is a reincarnation of Bodega San Isidro, which was founded in the 1800s. Current owners Carlos Ferreyros and Diego Loret de Mola took over the distillery after it had been defunct for more than 30 years. Macchu Pisco: One of the few distilleries run by a woman. Owner Melanie da Trindade-Asher produces three bottlings: Quebranta, La Diablada (an acholado) and Ñusta, a blend of aromatic grapes bottled in a handmade ceramic vessel. Pisco Portón: Probably the most well-known pisco producer right now, Schenk credits Pisco Portón with helping pisco go mainstream. “They’re a huge powerhouse,” he says. Campo de Encanto: Owned by San Francisco bar owner Duggan McDonnel, sommelier Walter Moore and distiller Carlos Romero, this label represents the new face of pisco. “They make a more modern day-style pisco,” Schenk says. Aside from three types of pisco, they also make a pineapple cordial for Pisco Punch. Viejo Tonel: Relatively new to the US market, Viejo Tonel produces four types of pisco, including a Mosto Verde, which is distilled from wine that hasn’t finished fermenting.